Lately, it seems to be all I can talk or instagram about! 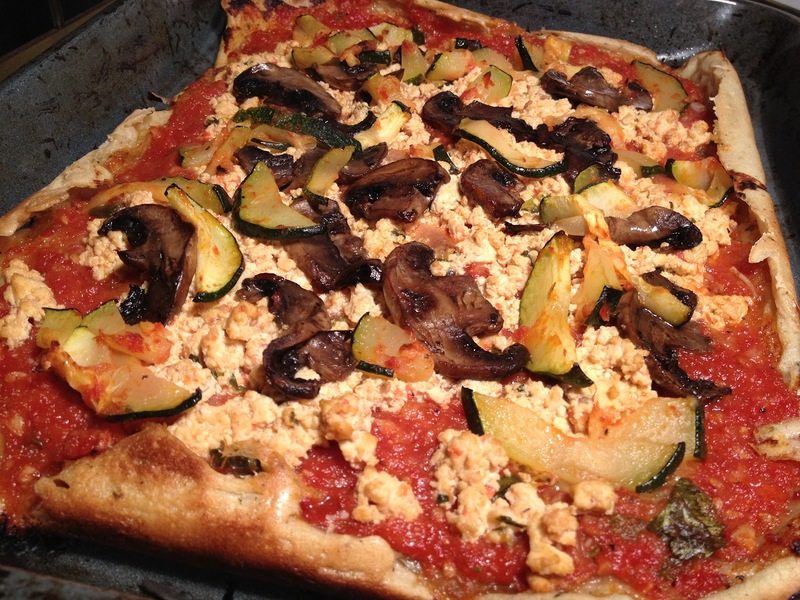 When I posted today that I am making my first raw vegan pizza– even I couldn’t believe it. A friend of mine bought this book for me today, Raw Food Kitchen, by Dunja Gulin. 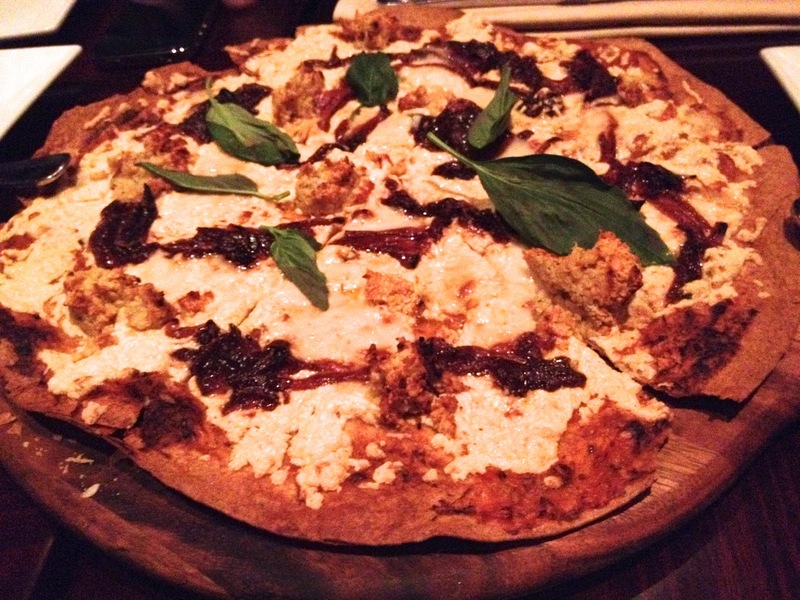 We both stopped short in our tracks when we saw the picture of the raw mushroom pizza. It was a must! I talk so much about pizza, both vegan and raw vegan, that now was the time. I love experimenting with crusts too- and I certainly have yet to master it, so why not? 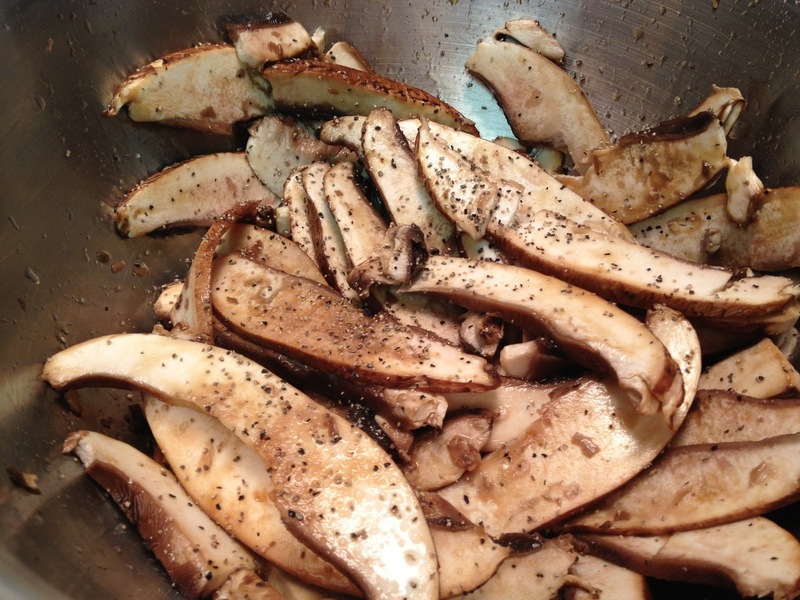 First I scrubbed the portabella mushrooms, sliced them thin and set them in the marinade of tamari and lemon juice. I let this sit for about an hour. This would have been a good time to soak the cashews too. The recipe says 30 minutes but an hour would be fine here too. 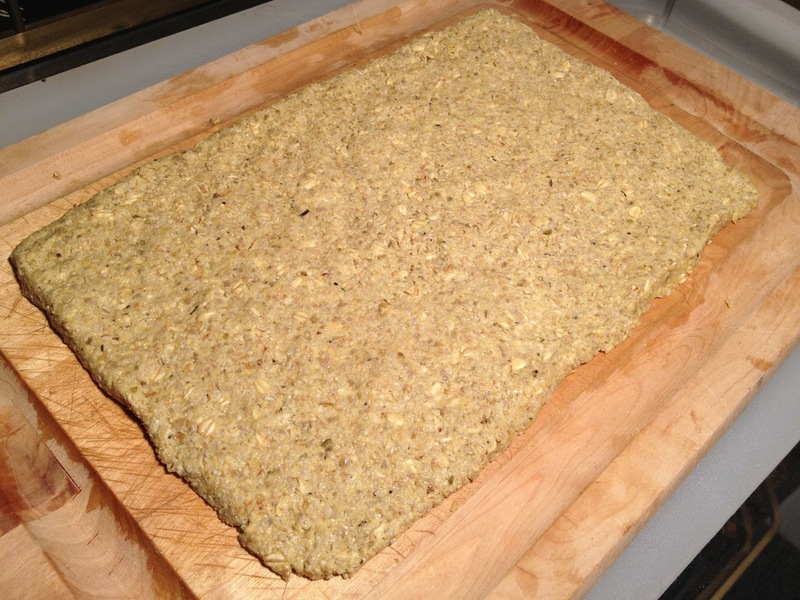 For the base, I used the sunflower seeds (ground) and then added them to a mix of oats wet with about 5 tablespoons of water. 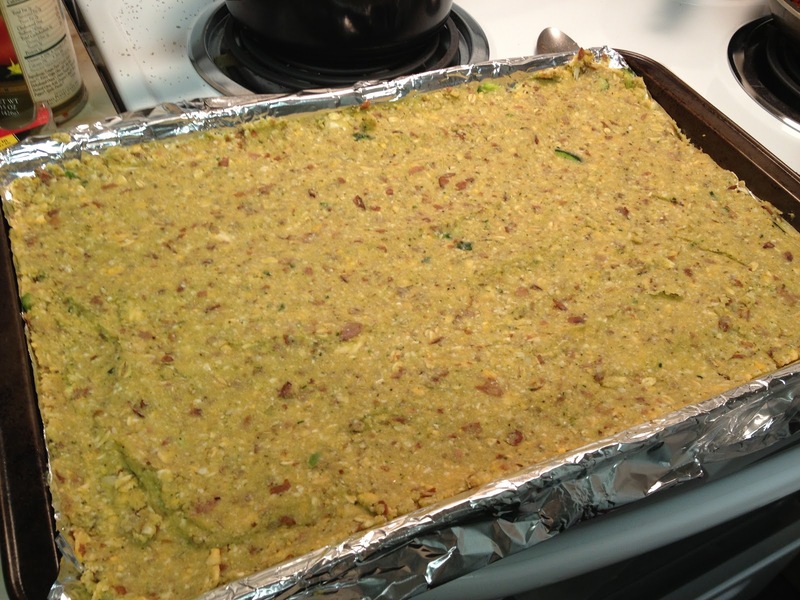 I also added the flax seed and 2 tablespoons of olive oil. There are definitely instructions here that I didn’t pay attention to like use a rolling pin to flatten the crust which would be between two sheets of parchment paper. This would have been helpful. Seed the tomatoes- I have heard this before and I’m still not sure why. I didn’t do it. I made the sauce in a food processor with most of the cut tomatoes, the sun-driend tomatoes, olive oil and spices. The recipe called for capers. Again, I can see how this would have added flavor. The nut cheese was also made in the food processor with the drained cashews, a little olive oil, onion, lemon juice and spices. It looked delicious and was definitely hearty. I have to work on it more! 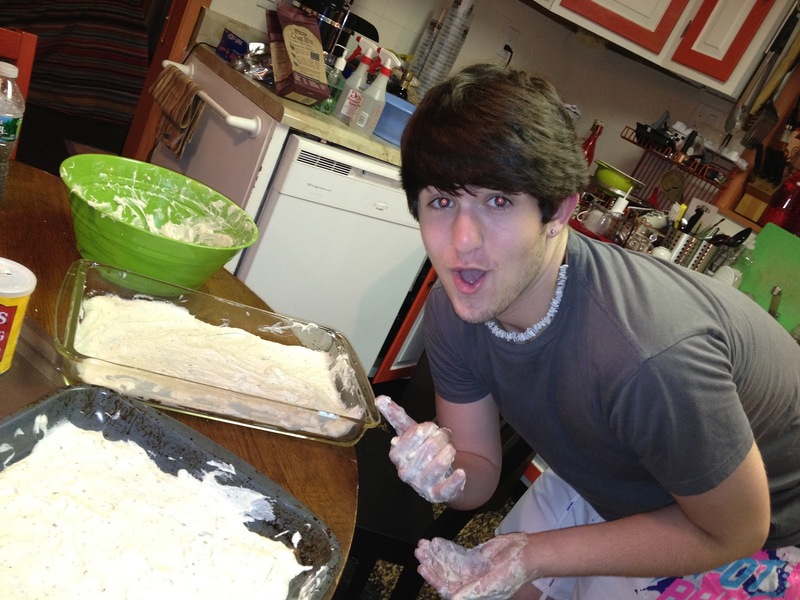 I think I made the crust to thick. The next day, my friend baked the leftovers. I try to share the wonderful information here about raw food eating but I guess it didn’t work lol. In any case, she said it was delicious. 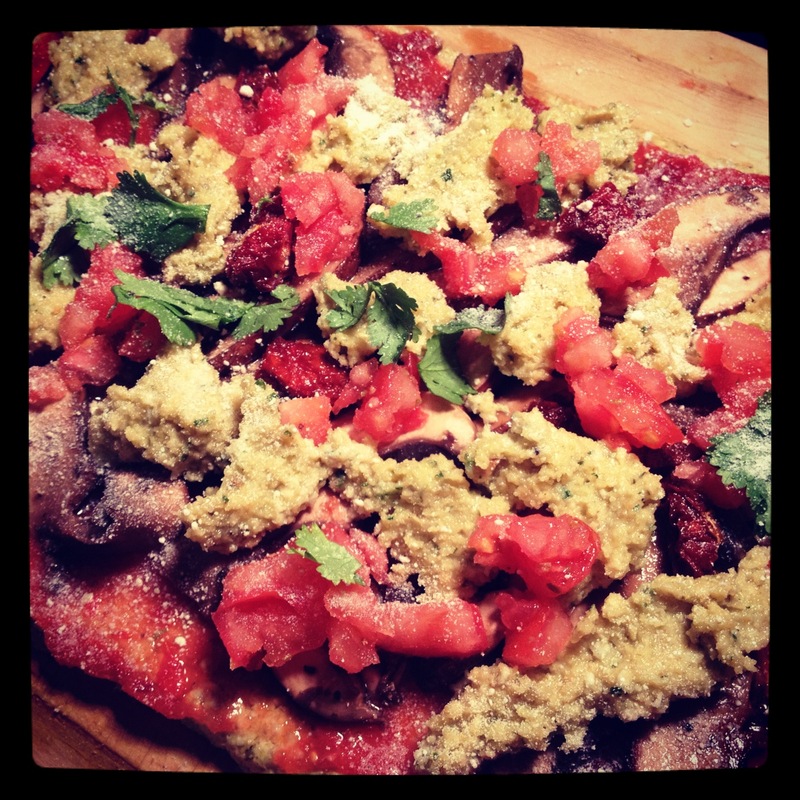 Personally, I am not baking my raw vegan pizza! Looks great… but it wasn’t! Not yet anyway! Of course now I will have pizza on my brain until I get this crust right. It was like eating a pizza crumb pie. It tasted good but not the way I wanted it. I am already a certified pizza-holic. Add that to my long list of food addictions and my 4am cravings and you see the trouble! I am so familiar now with vegan and gluten-free pizzas that it’s no longer an obstacle. I love the whole gluten-free movement– it’s not a bad thing to move slightly away from sluggish foods like wheat. For some people, this is life threatening and for others it is an opportunity to explore different food items. As consumers, we tend to become accustomed to one thing and not vary off of it. Whenever possible, I try different pizza crusts like whole grain, spelt, quinoa, brown rice flour, flax, organic corn flour and vegetables. I made a pizza cracker once in the dehydrator but this time I wanted to go for a warm baked crust as if I owned my own pizza kitchen. Well, far from it. I don’t even have a pizza stone. I don’t read directions well either. I am impatient and I admit it! I tried though.. and I will try again. Perseverance will win the day! Let’s see what I did right and what I could have done better! I was still in awe from the orange cauliflower I bought the other day. 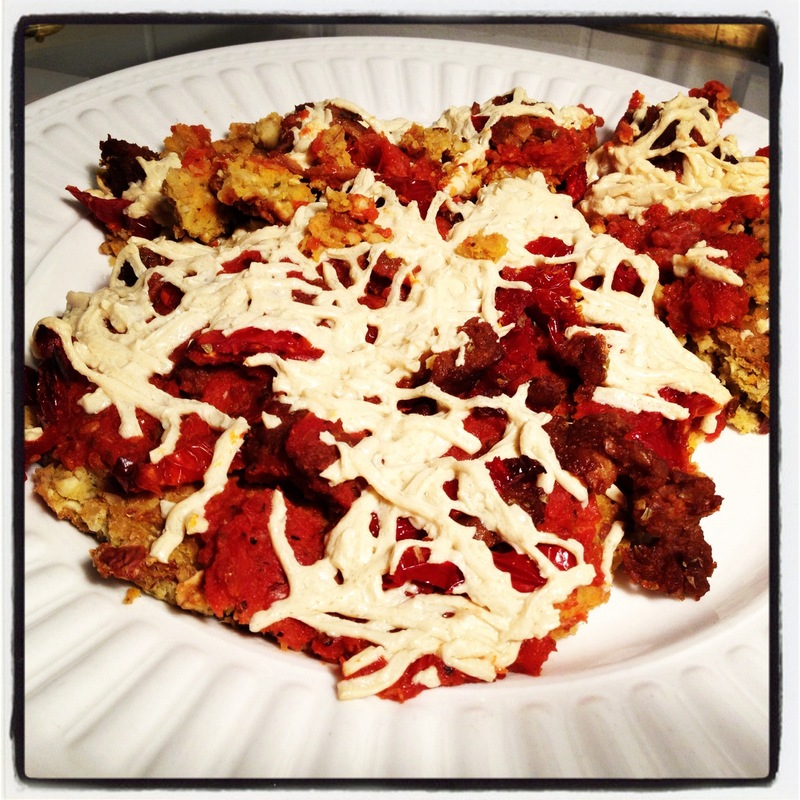 I wanted to try something else with it so I decided to look into a cauliflower crust for pizza. I did find some recipes and they seemed to make sense. So.. where did I go wrong? (1) Maybe I did not remove enough moisture from the vegetables. Interesting story- my friend suggested using the juicer to remove the liquid from the pulp. We could then use the pulp to set the crust. It seemed to make sense to me except that we would be removing enzymes- but hey, let’s be real, cooking does the say thing- doesn’t it? I went with this logic but then felt guilty for taking out the nutrients and added back 1/3 of the liquid. Of course I would drink the remainder. The RECIPE said to chop it, blend it down in a food processor and then boil out the remaining liquid. I think I did this part right even though I took a different course. (2) Was it possible I didn’t use enough flax. Flax is the binder- maybe 3 tablespoons wasn’t enough? (3) Not everything cooks at 350 degrees. If I am going to learn how to cook perhaps I should have read that the oven has to be very hot. This alone could have been the problem. 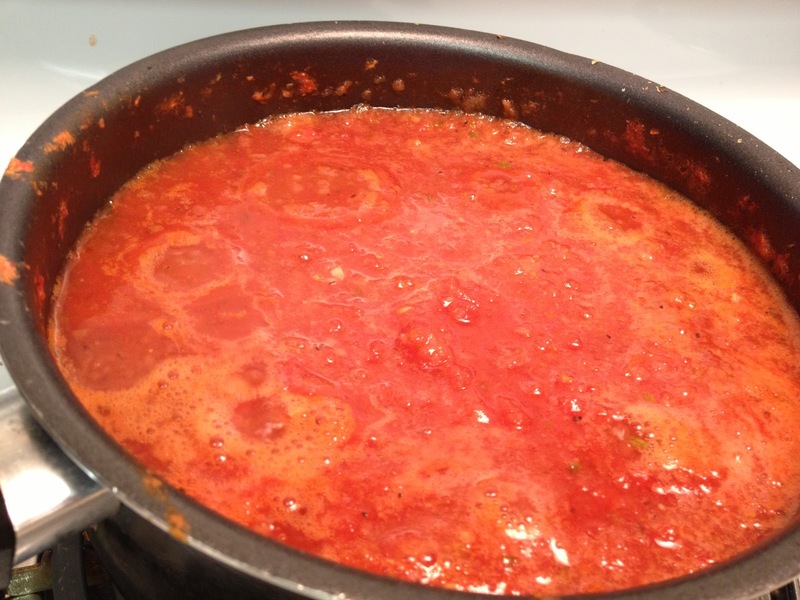 –I made a tomato sauce mostly from fresh tomatoes, onions and spices. 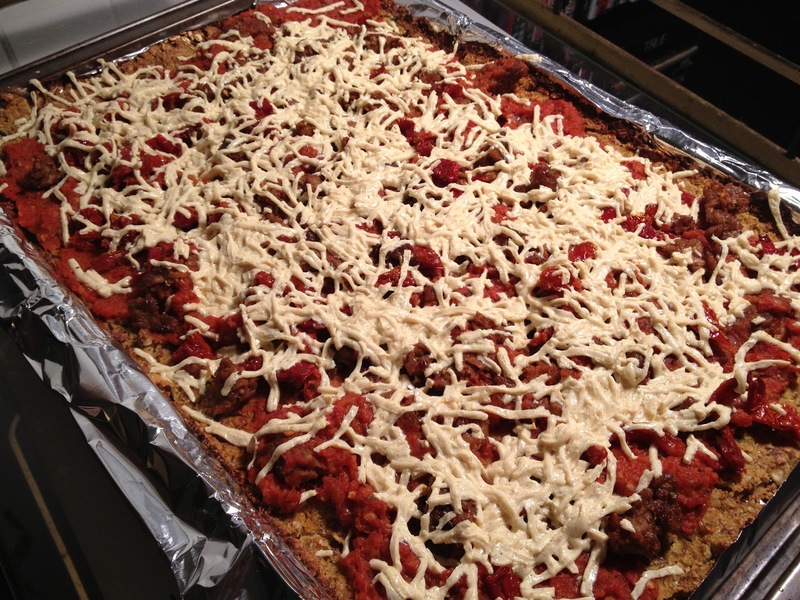 -I broke down and used a vegan cheese (as opposed to no cheese at all or a nut cheese finish). DAIYA to be exact and it is simply amazing. 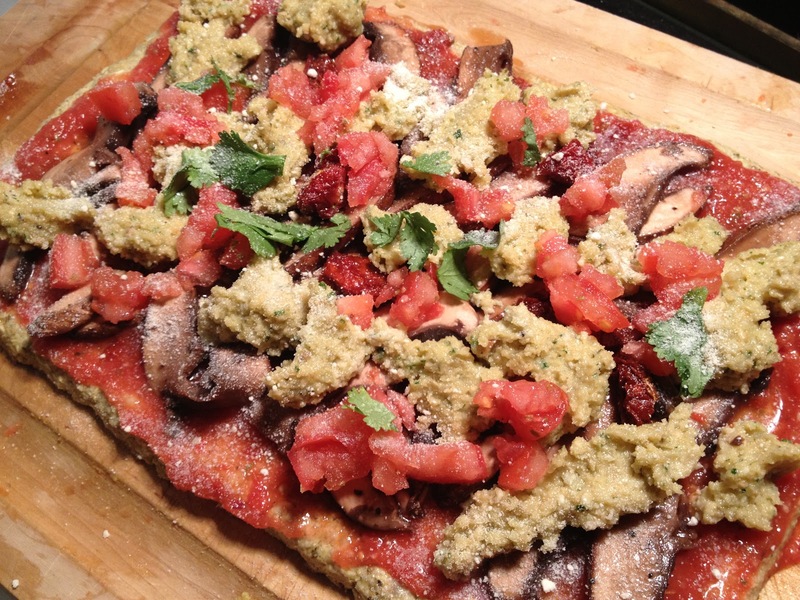 ok this VEGAN PIZZA comes first then I will try to make a RAW PIZZA. Perhaps one birthday dinner IS better than a week full of birthday dinners… or perhaps not! One thing for sure, if balance is the key and I believe it is, then I need to tip the scale in the other direction soon because dining out every night is not the healthiest practice for optimum health. It is my birthday and I have been pressing that excuse all week but it hit it’s quota and capacity tonight. First of all, I believe this is my favorite restaurant to date. CAFE BLOSSOM. Next I’m out with a few of my best friends who love to dine and try new things. This is the group who secretly went out to a vegan restaurant a month ago WITHOUT ME- how dare they. I think because they have low expectations when we go out vegan and then they are so blown away with the amazing dishes. This being yet another one of those nights.. plus my birthday so of course indulgence was the name of the game. We started with this pizza and a few apps. This vegan pizza I WILL SAY RIGHT NOW IS THE BEST VEGAN PIZZA I HAVE HAD SO FAR THIS YEAR. I love my raw vegan pizzas and keep in mind that raw for me is healthier but as far as straight up vegan goes- this is the winner. Considering too that the crust is whole wheat. 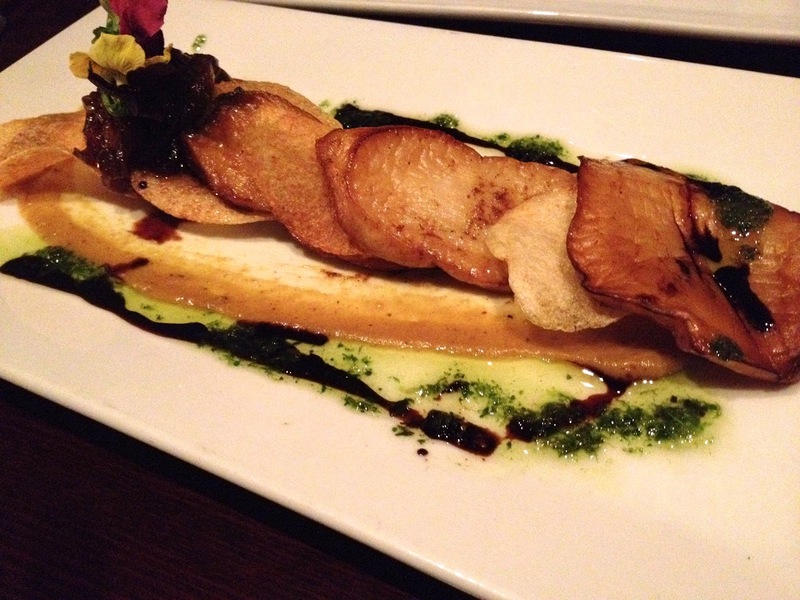 Before I get to the apps and entrees, I have to say that I have blogged about Cafe Blossom before. I love that it’s located in the West Village (41 Carmine Street) and that it’s casual / upscale but not pretentious. I love that they have many tables and an interesting menu with intriguing options. One of the highlights besides being with my best friends was that I finally got to meet Erin Red from RED RADIO. I am not a huge TWITTER fan but she is one of a few people that I somehow struct up conversation with through Twitter. Red has her vegan podcast and she is also part of THE SEED EXPERIENCE as well as other vegan events and networking. Red is even more charismatic in person.. and as always, supportive of all things vegan! That was great! Honestly, I have very few vegan friends so it’s nice to meet and talk to other people who kinda get you and understand the depth of your activism.. where it comes from and where it’s need to continue. We ordered the pizza and then the trumpet mushroom scallops and black eyed pea and potato cakes. 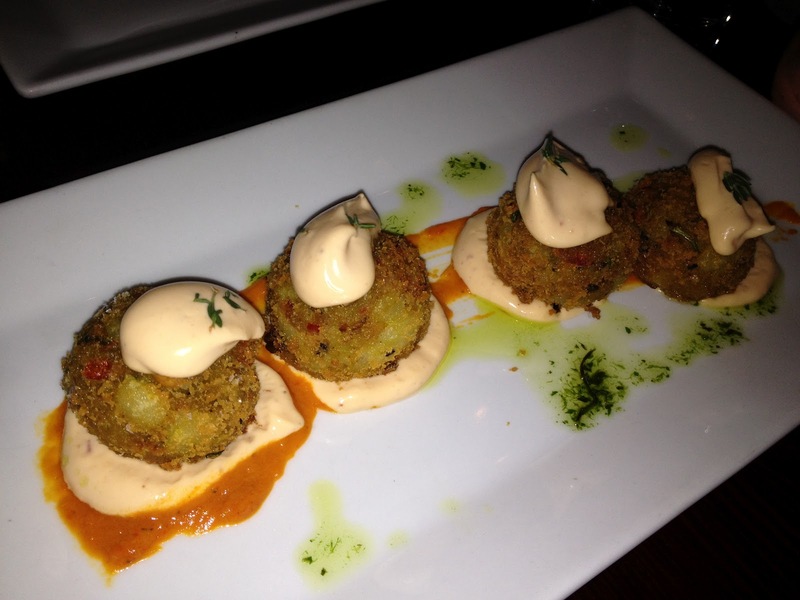 Each bite was delicate yet bursting with flavor and intricacy. 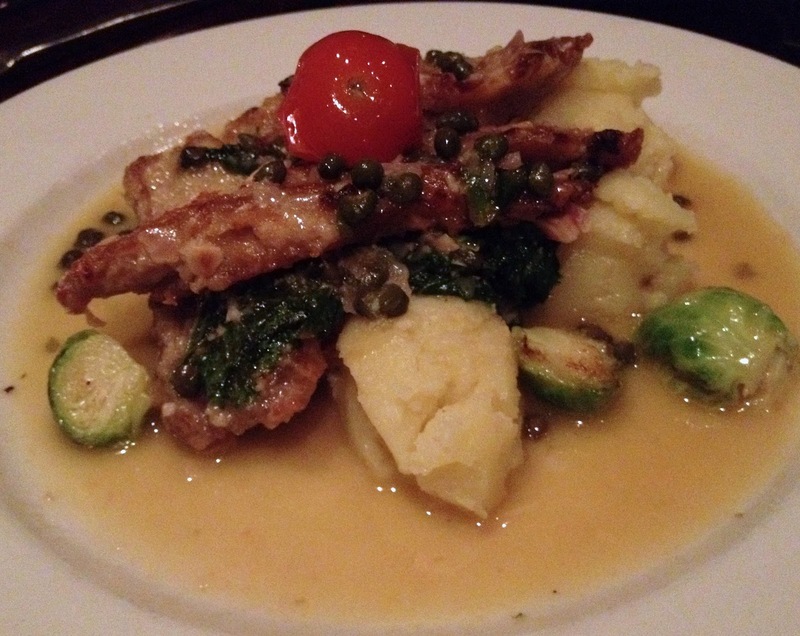 I couldn’t pass up my favorite entree.. the SEITAN PICCATA with truffle mashed potato. It was just pure perfection. 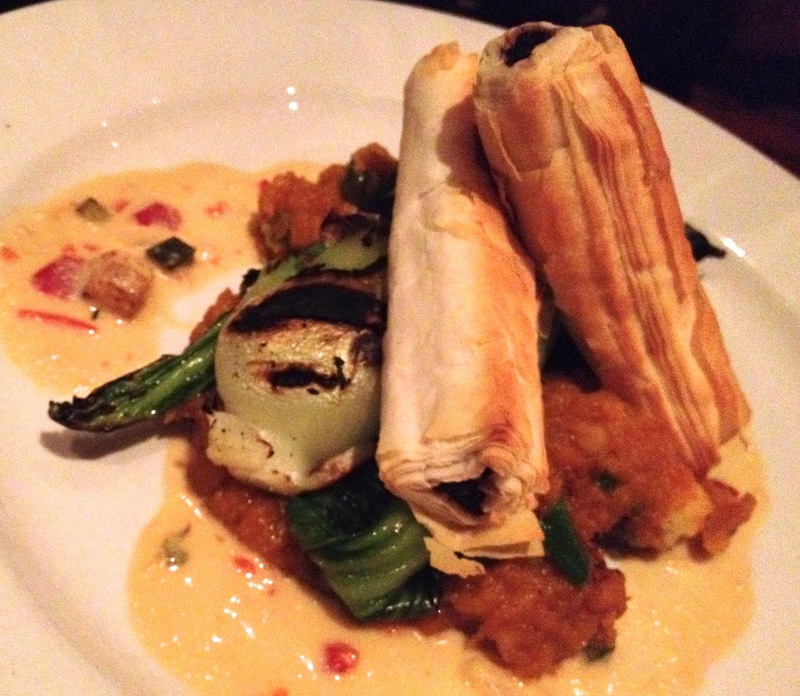 Hands down- this is vegan food at it’s best! Dining out has come full circle for me! I never thought I would see the day where pizza and tacos among other things would be featured as “healthy”. Actually pizza and tacos are not the worst foods in the world when you make them yourself with more natural ingredients and when you don’t over indulge. It’s hard though when you eat these in fast food places because they can be prepared with quick cheap ingredients loaded with white starches, sugars and salts. That being said, since these are two of my many binge foods from back in the day, it’s of great surprise and pleasure that I CAN INDULGE here at QUINTESSENCE and really not be so worried about it. This food is all raw! That means that the pizza crust and tostada are made from nuts, seeds, soaked grains or sprouts. Yes the toppings too! Even that “grated cheese” look-a-like and the sauces. Everything is based on fresh raw ingredients- vegetable bases too! The pizza here was Italian “sausage” flavored nut meat with creamy nut cheese. It was delicious especially with that side of pesto sauce! The tostada is made with “refried” beans, guacamole, lettuce, tomato, jalapeño, “sour cream” and nut meat! I am quickly hitting everything on this menu! If I ever made homemade pizza before, and we are not counting college level dormitory pizza bagels, then I must have been a little kid and I certainly don’t remember how! I did need help to accomplish this task especially since I had a house full of teenagers for memorial weekend- the pressure was on to make vegan food fun and delicious! 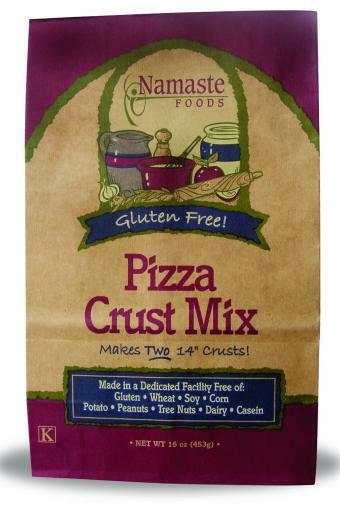 I copied the ingredients here from the Namaste site which are used in their packaged gluten-free pizza crust mix.. Next time I will attempt my own crust using many of those items and some flax meal. 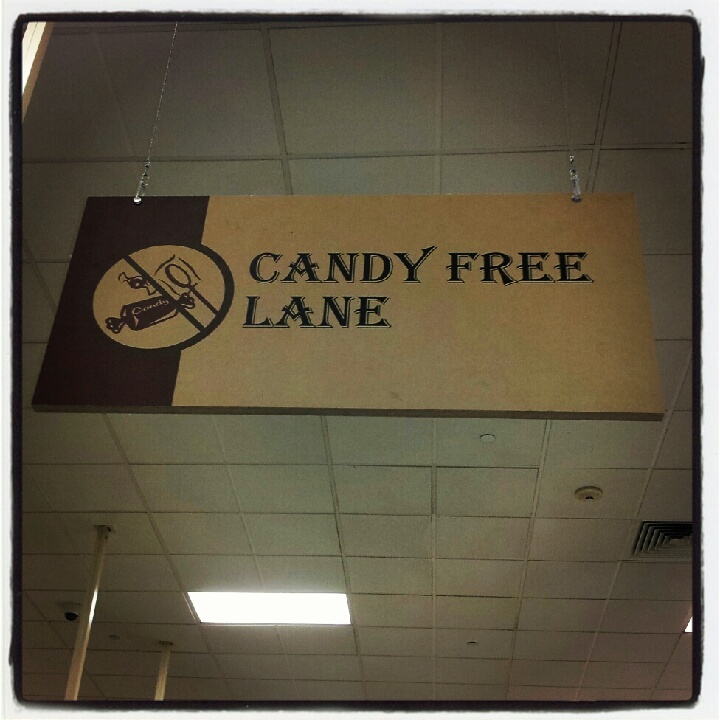 Just for the record, this ShopRite also has a candy free isle for check out- how cool is that… unless you are a kid or a candy feen like myself! The sauce! I sautéed some olive oil, garlic and a little bit of onion in a sauce pan. I added in fresh tomatoes that I pulsed in a food processor first. We added in fresh basil and oregano! I added half a can of tomato paste- the small one just to thicken up the sauce. This was complete and ready after about 30 minutes. While the sauce was cooking, we set up two pans of vegetables. Of course kids all want something different so I couldn’t combine it all. One likes mushrooms and not zucchini and another likes zucchini but not mushrooms.. and most didn’t want tofu even though they didn’t know what it would look like or taste like on a pizza. My tray had everything and for the record.. mine looked and tasted the BEST! The mushrooms were set aside in a pot with some olive oil, tamari and garlic. We used portabella and sliced them thin enough to use as a topping. 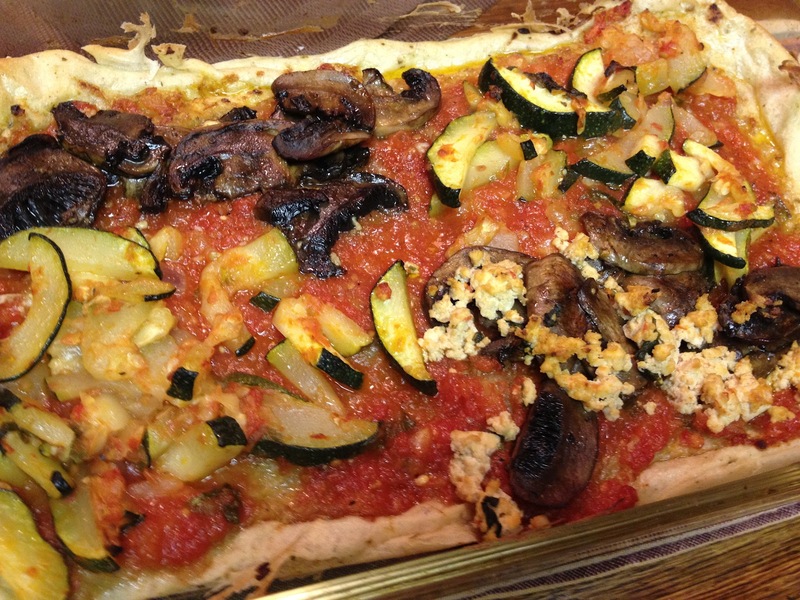 The zucchini was also cut into slices in a small pan with olive oil and some tomato sauce. 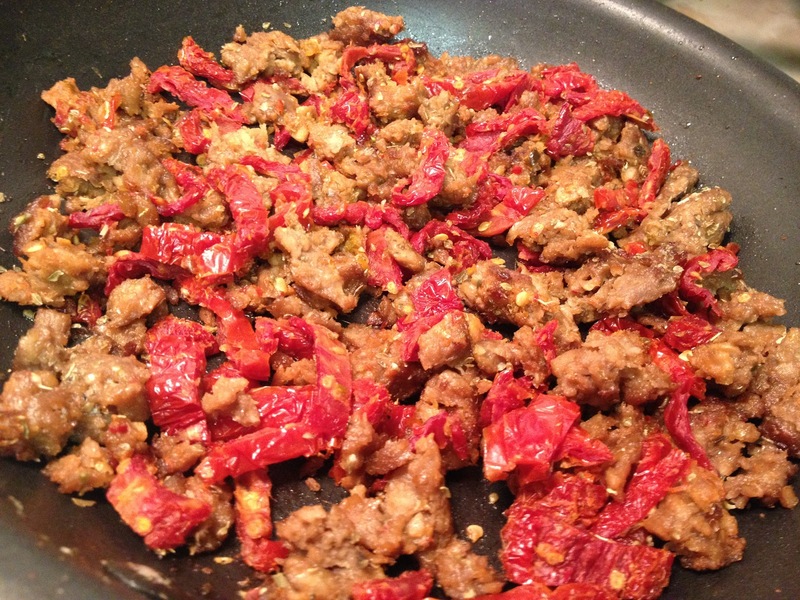 The tofu I used was firm- I dried it and crumbled it into a pan with a little tomato sauce. I simmered it a bit to dried up any excess water. The sauce went right on top of the partially baked crust- actually it was almost all baked and ready. Then we added the toppings- everything on one pizza and the other had sections for the picky kids! 15 minutes later is was ready to eat. What took hours to make was gone in seconds.. of course!